The Constitutional Court annulled a 2017 decision ordering Google to remove an anonymous blogpost from its platform Blogger for allegedly being defamatory. The controversial ruling had also instructed Google to actively remove anonymous defamatory contents upon notice, without judicial order (see Content Removal). Online disinformation was a prominent concern during the presidential election campaign in 2018. In attempts to discourage the proliferation of toxic content in the run-up to the election, candidates signed a pact to promote tolerance and the responsible use of social media for political debate (see Media, Diversity, and Content Manipulation). After a lengthy legal battle, an appellate court confirmed that biologist Diego Gómez was not guilty for sharing an academic paper online, clearing him of criminal charges that could have entailed four to eight years in prison (see Prosecutions and Detentions for Online Activities). In July, a court granted an injunction filed by a prosecutor to gain access to a journalist’s Facebook account, including its passwords, list of contacts, and message recipients. A constitutional complaint against this decision was unsuccessful (see Surveillance, Privacy, and Anonymity). Colombia’s internet freedom improved slightly after a lengthy legal battle against a researcher for sharing an academic paper online ended. However, the online sphere remained constrained by persisting concerns over excessive surveillance, and a climate of threats and self-censorship. Colombians voted in the first presidential election since a landmark 2016 peace accord between the government and left-wing FARC guerrillas. Political and social polarization surged online, as one study produced in April 2018 by the Electoral Observation Mission (MOE) found that 20 percent of conversations on social media contained hateful or intolerant messages.1 Despite the peace deal, an alarming wave of lethal attacks have targeted human rights defenders and activists, posing challenges for freedom of expression. Colombian press freedom groups have also denounced increasing threats against journalists.2Self-censorship both online and offline has become a prophylactic measure against violence, particularly in rural areas where impunity is even more pervasive than in cities. Poor infrastructure, low digital literacy, and high costs still hamper widespread access to the internet in Colombia. Although there are occasional cases of content removal, takedowns are isolated rather than systematic. During the coverage period of this report, the Constitutional Court ordered Google to remove an anonymous blogpost from its platform Blogger for allegedly being defamatory. The controversial ruling had also instructed Google to actively remove anonymous defamatory content without judicial order. After strong criticism among experts and digital rights groups, an action for annulment was successful in May 2018. While prosecutions for dissemination of content online are rare, harsh penalties for minor copyright violations and criminal penalties for defamation continue to threaten users’ rights. This was the case of Diego Gómez, a biology student who faced criminal penalties for sharing someone else’s thesis on the digital content sharing platform Scribd, even though he did not claim authorship or profit from it. In a positive move in December 2017, an appellate court confirmed that the biologist was not guilty. Poor oversight of government surveillance and revelations about illegal practices have raised concerns. Journalists have been subject to online and offline surveillance because of their work exposing corruption and irregularities within institutions such as the National Police. In July, press freedom groups protested an injunction filed by a prosecutor to access the Facebook account of a journalist, under investigation for slander after writing several articles about local corruption for a news site. A constitutional complaint against the decision was unsuccessful. Although internet penetration has steadily increased, Colombia still faces obstacles to access primarily stemming from socioeconomic factors. The lack of basic utilities and affordable internet access constitutes an informal barrier to information and communications technologies (ICTs). The government does not place limits on bandwidth, nor does it impose control over infrastructure, except in emergency situations when internet service providers (ISPs) are required to make their infrastructure available for official response.17 The government has not centralized telecommunications infrastructure and does not deliberately shut down internet or mobile connections. Registration requirements are neither excessive nor onerous. Business owners must provide personal and tax identification as well as a description of services, but no fee is required. This information is published in an open registry, and the ICT ministry has 10 days to verify the data before the business may begin operating. Registration can be denied when information is incomplete or false, or when an ISP does not have the proper commercial status to offer the necessary services.21 Service providers are obligated to pay a contribution of 0.01 percent of their annual income to an ICT Ministry Fund (Fontic) devoted to the development of nationwide ICT projects.22 ISPs must also apply for licenses to utilize the radioelectric spectrum, although there have been no complaints of difficulties or bias with this process. The mobile landscape is more concentrated than the ISP market. Although there are nine providers, more than 90 percent of the market is in the hands of three companies: Claro, Movistar and Tigo.23 Like ISPs, mobile service providers must also contribute 0.01 percent of their annual income to Fontic. Colombia’s ICT sector is subject to numerous regulatory bodies with varying but limited degrees of independence from the government. The three main regulatory bodies are the ICT ministry, the Communication Regulation Commission (CRC), and the National Spectrum Agency (NSA). The competition authority, the Superintendency of Industry and Commerce, also has some control duties as part of its consumer protection obligations. Colombian internet users are able to view and disseminate content relatively freely. In the run-up to the first presidential election since the landmark peace accord with FARC, disinformation and toxic content proliferated on social media. Blocking or filtering of political, religious, or social content is not common in Colombia.28 YouTube, Facebook, Twitter and international blog-hosting services are freely available. The Colombian government does not regularly order the removal of content, although periodic court cases have resulted in judicial orders requiring the removal of specific information deemed to violate fundamental rights. News outlets separately report threats intended to force them to remove content (see “Intimidation and Violence”). Colombia has several digital media outlets and online spaces for political debate, and Colombians are able to view and disseminate a diversity of content. However, social media platforms were dominated by battles between rival campaigns in the lead-up to the presidential elections in 2018. Although prosecutions for online expression are rare in Colombia, harsh penalties for minor copyright violations and criminal penalties for defamation pose a serious threat to users’ rights. In December 2017, an appellate court confirmed that a biologist who faced up to eight years in prison for copyright violations was not guilty for sharing an academic paper on the website Scribd. Although the government has taken some positive steps to prosecute actors who conducted illegal surveillance in recent years, concerns remain over widespread surveillance and violations of privacy. However, Colombia maintains criminal penalties for defamation, which have been applied to online speech. According to the Colombian penal code, individuals accused of insult can face up to six years in jail and a fine, while individuals accused of libel can face between fifteen months and four and a half years in jail, also with possible fines.61 Cases pertaining to online defamation have occasionally been brought before the court with varying outcomes. The penal code includes a concerning provision regarding online publication or reproduction of insults. According to Article 222 of the penal code, “whoever publishes, reproduces, or repeats insult or libel” may also be subject to punishment. This article raises concerns as it leaves open the possibility for charges of indirect insult and libel. The penal code also establishes the use of “social mediums of communication or of other collective divulgence” as an aggravating circumstance that can increase the penalty for insult or libel.62 However, courts have not held intermediaries responsible for defamatory content created or shared by third parties. Episodes of extralegal surveillance carried out by intelligence agencies, the army or the police, have constituted an ongoing scandal in Colombia in recent years. Some steps have been taken to punish perpetrators of illegal surveillance, although it seems unlikely that these efforts have changed the overall environment, as intelligence agencies continue to operate with minimal oversight. Concerns about illegal surveillance by certain sectors of the government and military persist, with investigative journalists continuing to uncover privacy violations by the police and military. Corruption, longstanding armed conflict and associated surveillance, and the war against drugs are the greatest threats to freedom of expression in Colombia, although online journalists have not been attacked as often as print journalists. There is no broad trend of retaliation specifically for online content, but the high level of intimidation towards media and human rights defenders creates a climate of fear that also affects online journalists. Various types of cybercrime, including hacking, illegal interception and use of data, and the distribution and use of malware are criminalized under Law 1273, which was passed in 2009. 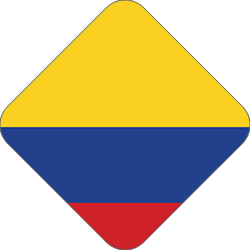 Penalties range from three to four years’ imprisonment, along with fines.102 While phishing—the stealing of sensitive personal data via malware disguised as legitimate email—appears to be a significant issue in Colombia,103 most evidence of hacking and other interception has involved interagency spying and intelligence work carried out primarily by the government, the army, and other official bodies (see “Surveillance, Privacy, and Anonymity”). 24 Carlos Cortés, “Mobile Internet in Colombia - Challenges and Opportunities for Civil Society: The 2013 Spectrum Auction,” Open Society Foundation, December 13, 2015. 28 Communication from ICT Ministry in response to Request of Information Nº 661596, February 24, 2015. 30 Communication from ICT Ministry in response to Request of Information Nº 661596, February 24, 2015. 55 Although there are studies concerning self-censorship among journalists, to date, there are none concerning self-censorship among ordinary internet users. 57 The first was rejected in Congress; the second, although it became law, was declared unconstitutional by the Constitutional Court; the third project lost the support of the national government; the last one was introduced to Congress, but later withdrawn. 58 “Manisfestación virtual contra la llamada Ley Lleras 2” [Virtual protest against the so-called Lleras 2 Law], El Colombiano, http://bit.ly/1QnK069; “La nueva ley Lleras recarga el ciberespacio de protestas,” [The new Lleras law fills cyberspace with protests], El Colombiano, March 28, 2012, http://bit.ly/1QnPYnn. 63 The only documented case of an individual going to jail took place in 2010, well before the timeframe of this report. See: “Crónica del ‘Falso Positivo’ de Facebook en nueve episodios,” La Silla Vacia, May 4, 2010, http://bit.ly/1L6Fv9U. 69 Colombian law does not prohibit anonymity, so the fact that the post was anonymous did not influence the charges against López. 87 Law 418 of 1997, art. 99, http://bit.ly/1Gw5sg9; and Resolution 0912, 2008 of the National Police, Diario Oficial, Año CXLIV, Nº 47.233, January 15, 2009. 88 The penal code outlines penalties for perjury of bearing “false witness.” Penal Code, art. 442, http://bit.ly/1S3N9sT. 92 Communication Nº 811811, ICT Ministry to Karisma Foundation, April 27 of 2015. 105 Phillip Acuña, “Colombia to receive cyber-security assistance from international experts,” Colombia Reports, March 31, 2014, http://bit.ly/1YGfveW; Carolina Botero Cabrera “Intimidad vs Seguridad un año después” [Privacy v. Security one year after], El Espectador, April 2, 2015, http://bit.ly/1DBAHEA.